Perfectly made ellu urundai. I loved the perfect shape too. 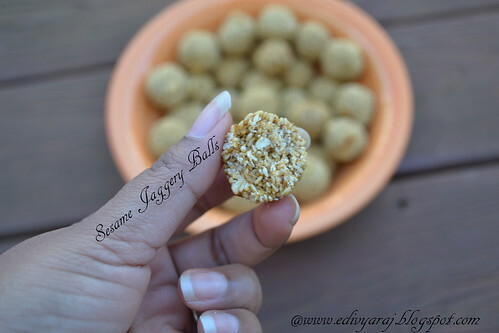 That is perfect ellu urundai, Love these seasme balls. 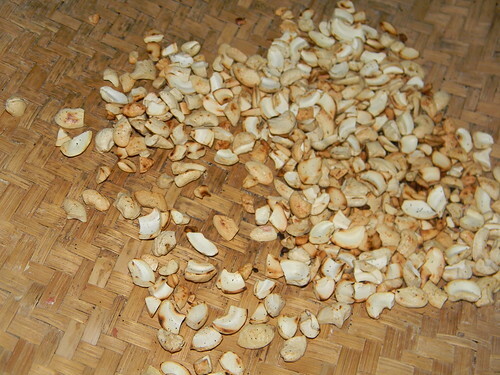 They have come out very well, yumm..
Ellu urundai looks so good. My fav sweet. 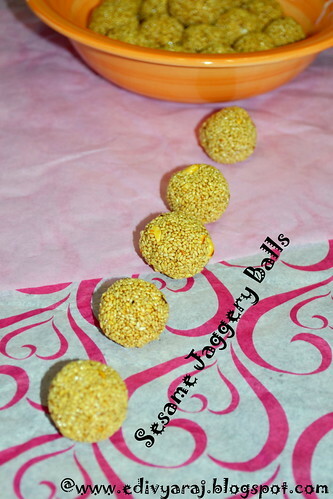 Wow...love the way you described it...yummy laddoos!! very special sweet, must be full of good aroma! These look delicious. 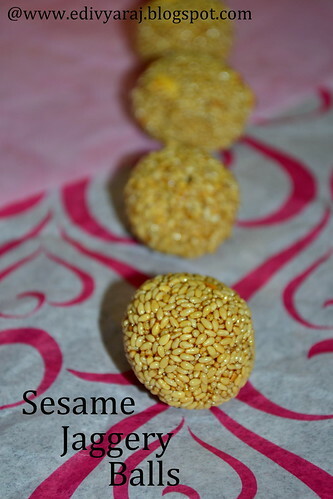 I love sesame seeds, will have to try! Cute urunadai. perfectly made...looks delicious. Til ladoo looks fabulous. Like to munch few. 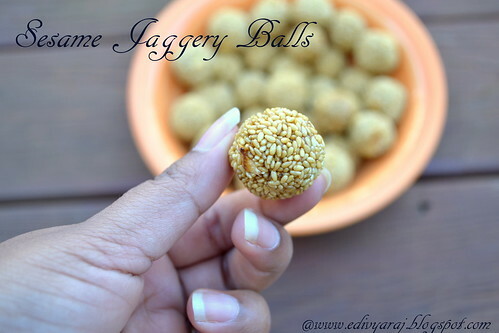 Looks very yummy and well made :)! 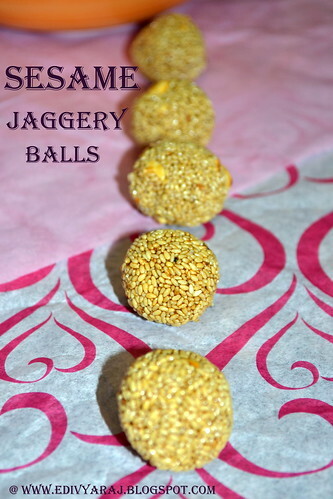 Delicious sesame balls, neatly explained.. I love these snacks!! Thanks for the recipe, will surely try it!!! 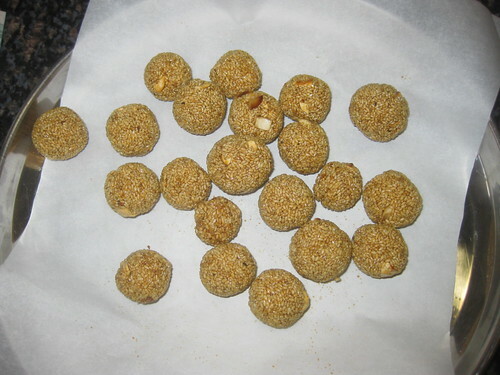 Til laddoo are made in our sankrant festival....... delicious sweet! Thanks for sharing . step by step pics are really helpful to make. will try this. just a simple doubt. 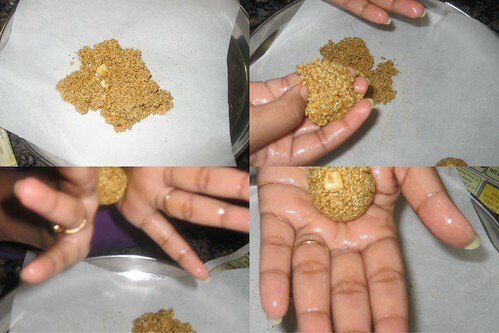 why do u add 1/2 cup water to sesame and then dry roast it? can u not dry roast it directly? 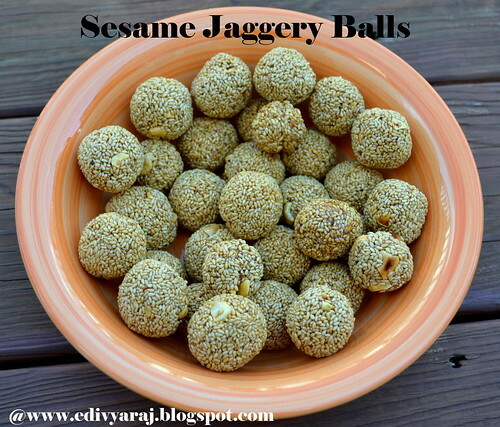 hi suhaina aji,when u add water to sesame seeds when its fry it nicely pops up and nicely fry as well.u can fry directly but my mom said when u add water it give good flavor.